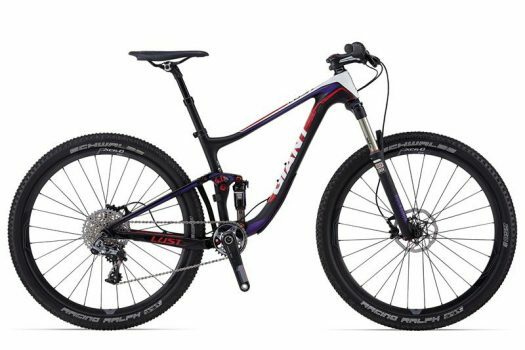 My vote for the best women’s mountain bike is the Giant Lust Advanced 0. Moving from Minneapolis (elevation 600 ft) to High Rolls Mountain Park, NM (elevation 7,000 ft) opened my eyes about the diversity of biking styles and needs. Minnesota – FLAT. New Mexico – NOT flat, in fact, mostly mountainous, at least where we ride. I now realize that I took all those nice wide and flat Minnesota trails for granted. Living here, where you have to embrace your inner hill every day. I’ve also learned that a bike is not a bike is not a bike is not a bike. My lemon yellow Schwinn ten-speed won’t cut it out here. I always thought that the speed and endurance in biking came from my body, not the bike, so what kind of bike I had didn’t really matter. For years I got along just fine on cheap used bikes under $150 and rode all over Minneapolis. It was no problem to knock off 30 or 40 miles, stop for pizza and a beer at a trailside pub, peddle another ten miles home, and still have enough energy to hit the downtown scene with friends. In Minnesota, that is. Then I tried riding one of my old bikes out here. Seriously, I thought I was going to have a heart attack. I had to get off and push the bike up as many hills as I pedaled. I assumed the difference in elevation was the problem, I thought my lungs would adjust. I kept getting back on the bike and pushing myself harder. My entire body, even my arms, were constantly sore at the end of a ride. Never had that happen in Minnesota. I wasn’t having any fun at all, a ‘must’ for maintaining any fitness activity over the long term. My friend suggested front suspension for a better ride. I resisted, but eventually upgraded to a new front suspension bike, which did help with the soreness and control, but it didn’t make me any faster. Then one day, my friend casually said, “That bike of yours is kind of heavy for the riding you’re doing….” Naw, I thought, I’ll just keep trying. That all changed when we spent the weekend riding in Colorado, where I rented a bike that was at least 10 pounds lighter. I was able to handle the rocky trails with confidence and had an absolute blast. What a difference the right gear can make! Instantly I had bike fever. 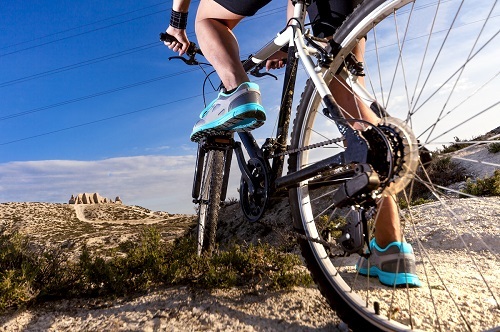 Now, finding the best women’s mountain bike for a 5-foot 2-inch woman is not as easy as you’d think. You don’t exactly find many bikes my size in the local bike shops. My friends helped me search online until I settled on the Women’s Giant Lust Advanced mountain bike, the world’s first women’s specific carbon fiber full-suspension bike with the new 27.5-inch wheel size. Used for one year, probably by a racing team, I bought the bike for a sweet price, sight unseen, and waited with fingers crossed that I’d like it, until it arrived. What can I say? It’s like taking off in a Lexus convertible after you’ve been trundling along in a Buick. Adjustment period? None, except to realize I have to be a little careful downhill because this bike is so danged fast. On the uphill side it climbs like a billy goat, which I mean in the best sort of way. I actually feel the bike working for me to push me up the hill, rather than me dragging extra weight of a heavy bike up behind me. 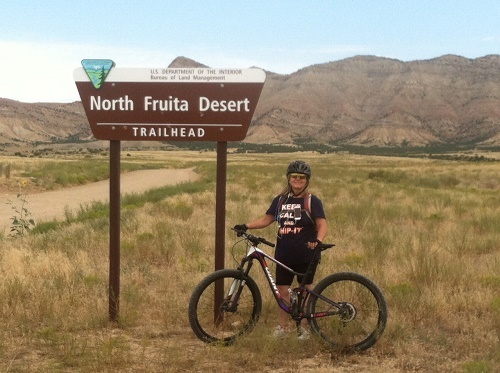 Mountain biking on my new Giant Lust Advanced in Fruita , Colorado. I won’t go into all the technical details because I am not a bike techie. You can read about them here if you’re interested. All I can say is riding the Giant Lust Advanced is like the feeling you get when you run your hands over velvet. It’s so comfortable and such a blast to handle that I ride almost every day. Dirt roads, single track, mud, rocky trails, 3,000 foot climbs, bring ’em on. My advice to anyone who wants to ride more but can’t get comfortable on their bike? Throw away any preconceived notions and ask advice from a professional who really knows how to fit a bike to your size and riding style. Test ride not just one, but several kinds of bikes if you can have access to them in the store. I wish I had listened to my more savvy riding friends a lot sooner. I gotta go and hug my bike now. This whole essay reminds me that everything in life is kinda’ like that. Things are a lot easier if you have the right tool! Thanks for reading – miss you too!